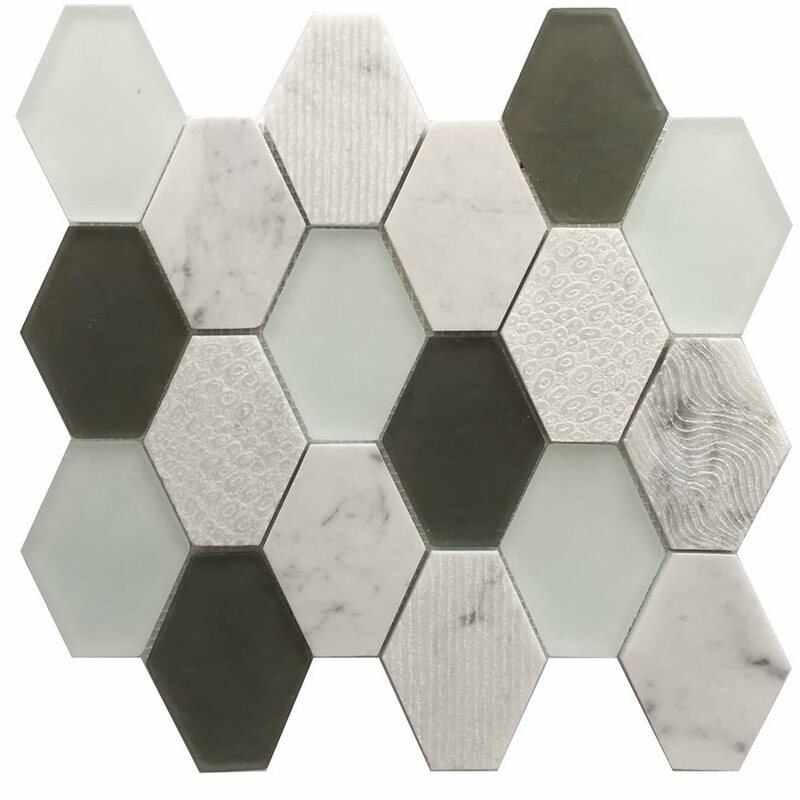 12-in x 13-in x 8mm Anthracite GeoHex Stone and Glass Mosaic Wall Tile is a subtle mix of gray glass and classic grey and white marble to offer updated fashion. Super durable and time tested design of larger hexagon honeycomb design. We wanted a blend in grey shade for our basement bar and kitchen. this is a great product. blends well with cherry cabinets and dark floors.